Let us start by giving praise to the most high, the Almighty Father, Prince of peace. The lion of the tribe of Judah, the master planner, the chief architect, the designer of all living creatures- miniature or big, the visible and invisible. We honor you, Lord. While meditating on the theme of this prayer walk programme “The Destiny Designer” I was led to the beginnings. 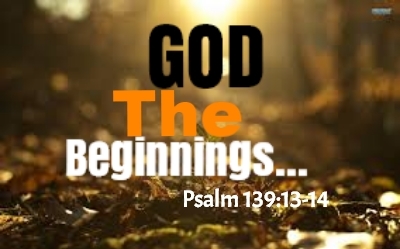 Do you know our God is the Lord over every beginning? The Lord said in Revelations 22:13 “I am the Alpha and the Omega, the First and the Last, the Beginning and the End”. Every designer in industry starts with a beginning. An idea or concept is birth at the beginning. The state of a product, its character and attributes, all are designed in the beginning. It is not surprising that this behavior is inherent in every human being, after-all we all came to existence through our fathers breathe. When you know who was in charge of your beginnings, you will have no fear of the future. I want you to know it is too late for any evil force to distort what has been set for you by God in the beginning. Get excited about what will be revealed to you at His feet. Posted in The Destiny Designer.